University of Chicago Press, 9780226656175, 257pp. In this much anticipated revision and translation of Scienza e Retorica, Marcello Pera argues that rhetoric is central to the making of scientific knowledge. Pera begins with an attack of what he calls the "Cartesian syndrome"—the fixation on method common to both defenders of traditional philosophy of science and its detractors. He argues that in assuming the primacy of methodological rules, both sides get it wrong. Scientific knowledge is neither the simple mirror of nature nor a cultural construct imposed by contingent interests, thus we must replace the idea of scientific method with that of scientific rhetoric. 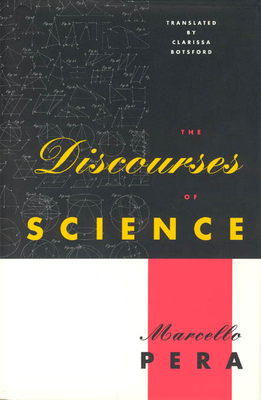 Pera proposes a new dialectics of science to overcome the tension between normative and descriptive philosophies of science by focusing on the rhetoric in the proposition, defense, and argumentation of theories. Examining the uses of rhetoric in debates drawn from Galileo's Dialogues, Darwin's Origins, and the Big Bang-Steady State controversy in cosmology, Pera shows how the conduct of science involves not just nature and the inquiring mind, but nature, the inquiring mind, and a questioning community which, through the process of attack, defense, and dispute, determines what is science. Rhetoric, then, is an essential element in the constitution of science as the practice of persuasive argumentation through which results gain acceptance.